Joe Yaiullo has been breeding tubastrea since 1993 and was one of the first documented success stories with breeding this coral. Approximately 4 years ago, Joe recieved individual polyps of these tubastrea from the legend known as Matt Wandell. 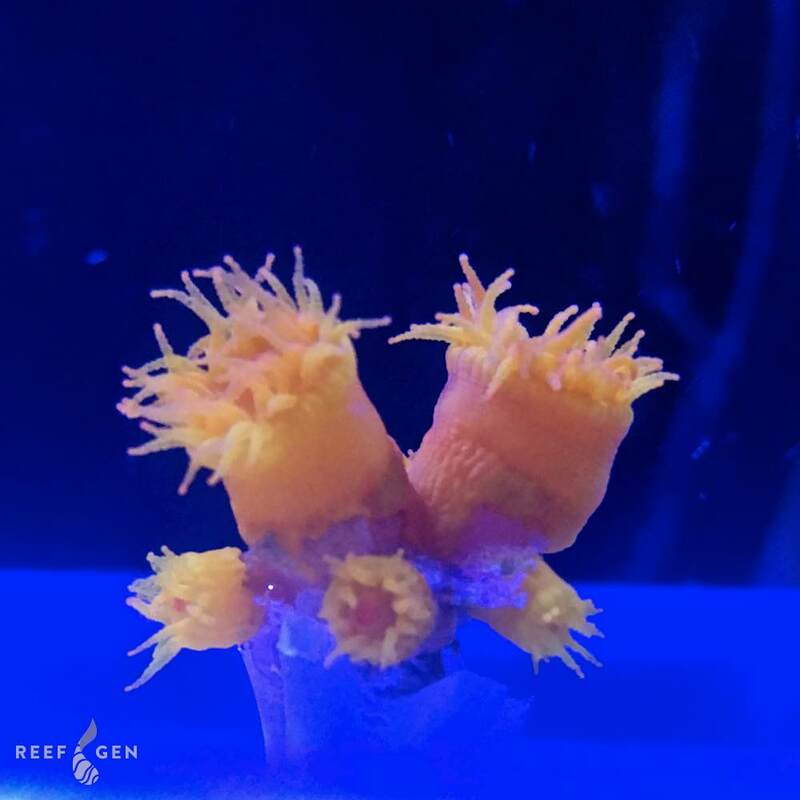 Since then, Joe has been growing and reproducing subsequent generations successfully BREEDING these sun corals off of his 20,000G reef! You heard me right, breeding, not fragging, but sexually reproducing them through their process of coral brooding and planulation. 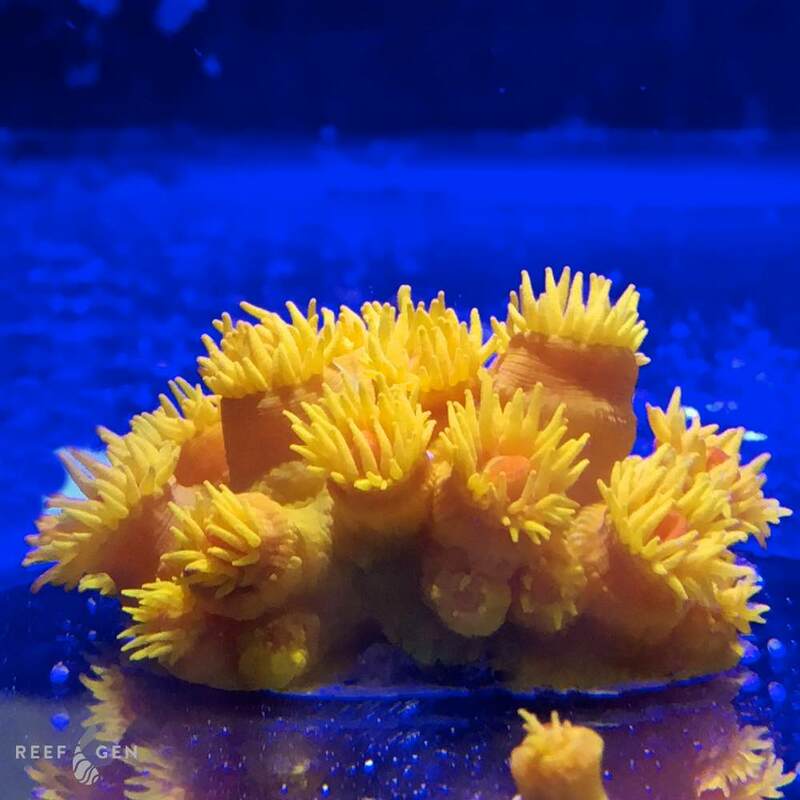 We are thrilled to offer these rare, hardy, and gorgeous corals for sale, at last. 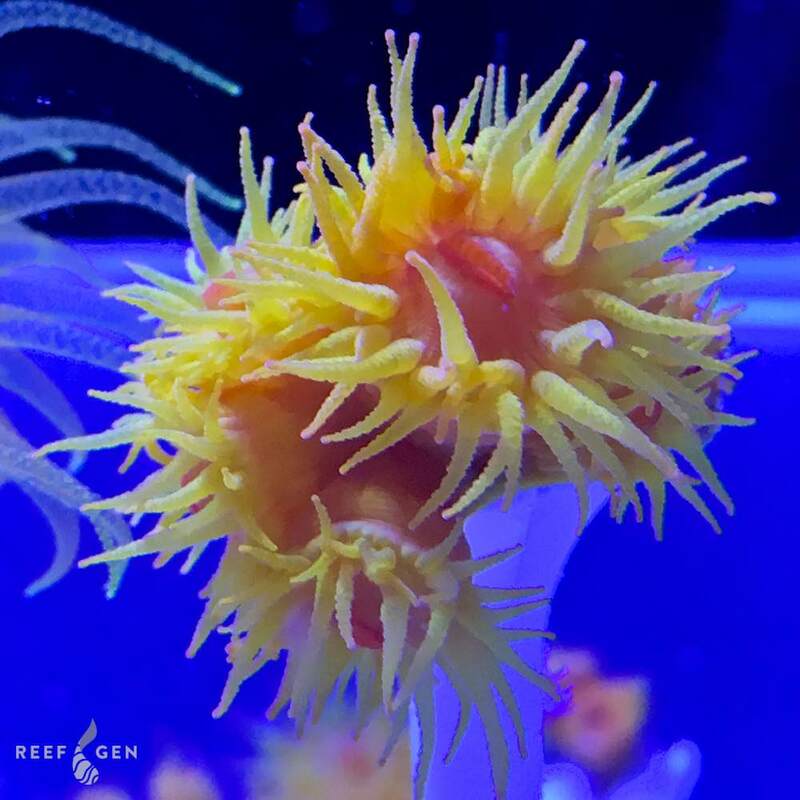 Tubastrea are a non-photosynthetic coral, which means they don't need light and survive through feeding. We recommned feeding these tubastrea frozen mysis or calanus pods. 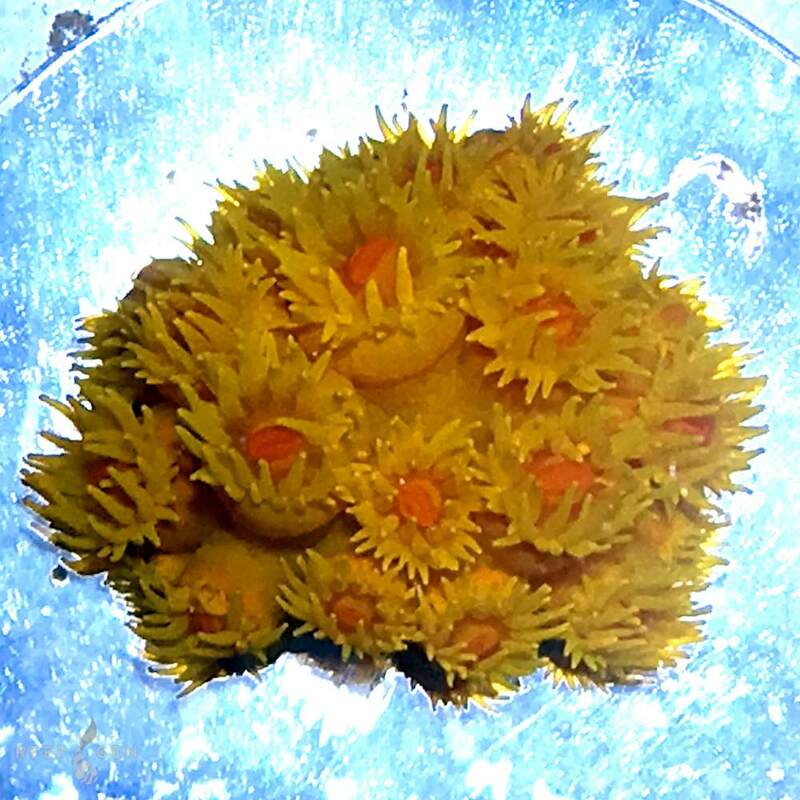 They would certainly appreciate and take any planktonic coral food, so feel free to experiment! We recommend feeding them daily, but don't feel anxious about this task. We have heard of many stories of Tubastrea growing and multiplying without direct feeding, but rather just strategic placements near overflow skimmers and other places which provide food-delivering current. Our variety of Tubastrea are 100% captive grown without a shred of wild skeleton or tissue, guaranteed. Because of their lineage in captivity, this is a particularly hardy coral that we recommend for any reef aquarist to try.